The Justice Department said in a recent settlement with a Massachusetts college that severe food allergies can be considered a disability under the law. That gives those who suffer from such allergies a new avenue in seeking menus that fit their diet. But some say it goes too far. The decision leaves schools, restaurants and other places that serve food more exposed to legal challenges if they fail to honor requests for accommodations by people with food allergies. Colleges and universities are especially vulnerable because they know their students and often require them to eat on campus, Eve Hill of the Justice Department's civil rights division says. But a restaurant also could be liable if it blatantly ignored a customer's request for certain foods and that person became ill, though that case might be harder to argue if the customer had just walked in off the street and was unknown to the restaurant, Hill says. The settlement with Lesley University, reached last month but drawing little attention, will require the Cambridge institution to serve gluten-free foods and make other accommodations for students who have celiac disease. At least one student had complained to the federal government after the school would not exempt that student from a meal plan even though the student couldn't eat the food. Under the agreement, Lesley University says it will not only provide gluten-free options in its dining hall but also allow students to pre-order, provide a dedicated space for storage and preparation to avoid contamination, train staff about food allergies and pay a $50,000 cash settlement to affected students. The agreement says that food allergies may constitute a disability under the Americans With Disabilities Act, if they are severe enough. The definition was made possible under 2009 amendments to the disability law that concerned episodic impairments that substantially limit activity. Hans von Spakovsky, a fellow at the conservative Heritage Foundation who worked in the civil rights division of the Justice Department under President George W. Bush, says the inclusion of food allergies is a major expansion of the disability law. Von Spakovsky disagrees that food allergies are severe enough to prevent students from accessing education and says the costs could be substantial for colleges that already are battling backlash from high tuition costs. Ten years ago, most people had never heard of celiac disease. But awareness has exploded in recent years, for reasons that aren't entirely clear. Some researchers say it was under-diagnosed; others say it's because people eat more processed wheat products like pastas and baked goods than in past decades, and those items use types of wheat that have a higher gluten content. Gluten-free diets have expanded beyond people with celiac disease. Millions of people are buying gluten-free foods because they say they make them feel better, even if they don't have a wheat allergy. 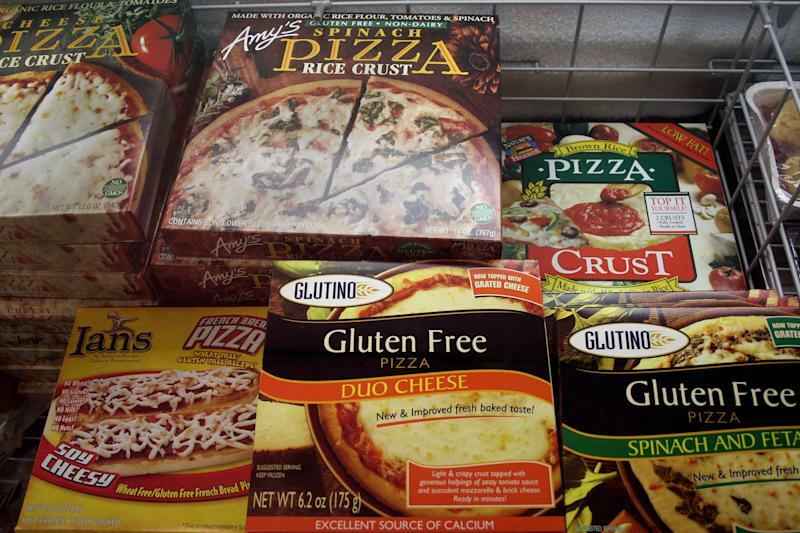 Americans were expected to spend $7 billion on gluten-free foods last year. Joan Rector McGlockton of the National Restaurant Association says that restaurants have taken notice of an increasing demand for gluten-free options, "drawing attention to the importance of providing these options as well as the preparation methods involved in serving these options." Whether the government is involved or not, schools and other food service establishments are likely to hear from people who want more gluten-free foods. Dhanu Thiyagarajan, a sophomore at the University of Pittsburgh, says she decided to speak up when she arrived at school and lost weight because there were too few gluten-free options available. Like Lesley University, the University of Pittsburgh requires that on-campus students participate in a meal plan. Thiyagarajan eventually moved off campus so she could cook her own food, but not before starting an organization of students who suffer from wheat allergies like hers. She says she is now working with the food service at the school and they have made a lot of progress, though not enough for her to move back on campus.